As excellent as it is, HomePod does seem expensive for a smart speaker and especially so for one that famously has fewer features than rivals such as Amazon Echo. Even now the HomePod's price has been cut, you could get many Amazon Echo Dots for the same money and, well, dot them around your house. Wherever you were, you'd be able to call out to Alexa to check the weather or buy something. You'd have the ability to listen to music anywhere, too, and if HomePod audio is great, the Dot is far from poor. You would also have Amazon listening out everywhere and squirrelling away anything useful, but we are always making that choice between convenience and security. If you are fine with Alexa, you're not alone. Only, there is another way to look at HomePod. It's really an iPhone 6. 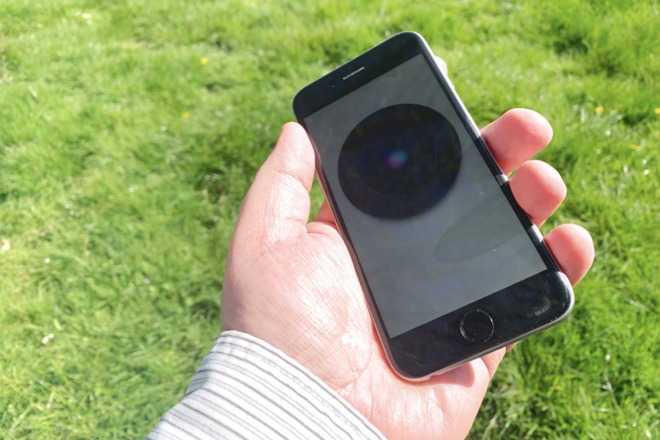 Apple publishes the fact that, like the iPhone 6, the HomePod runs on an A8 processor. What the company does not add is that, according to the HomePod teardown by iFixit, it probably has the same 1GB RAM too. And, it appears to ship with exactly the same amount of Flash storage space, 16GB, that the lowest-cost iPhone 6 did. It hasn't half got better speakers, though. Plus where the iPhone 6 is 129 grams, the HomePod isn't. 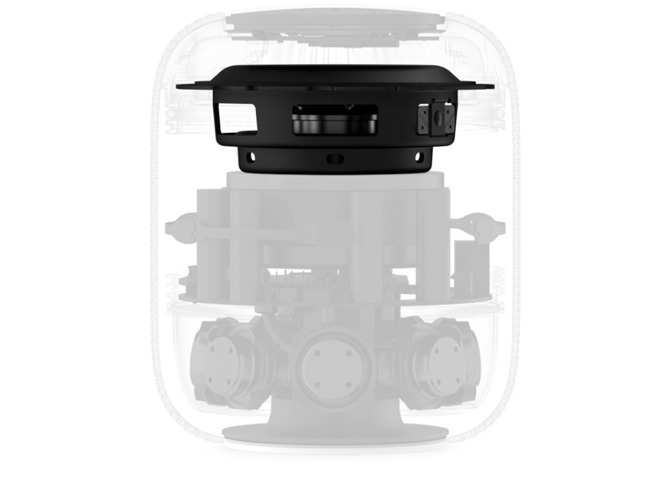 The HomePod is nearly twenty times heavier than the iPhone 6 and you might swear it is more because that weight is so densely packed into a small space. The HomePod is used for far less than the iPhone 6, but that's not the same as it having less capability. What Apple chooses to let us do is one thing, yet what the HomePod hardware is capable of is something else entirely. Given that they have the same specifications, the true difference between an iPhone 6 and a HomePod is that the latter is a peripheral. You can't use the HomePod on its own. While you can ask Siri questions on HomePod and you can play Apple Music through it without an iOS device nearby, still you have to have an iPhone to set it up in the first place. Whereas the iPhone is the ultimate portable device which needs nothing, other than electricity. It's good to be able to have a cell contract so that you can make calls and it's brilliant to have the internet, but without either, you still have a useful and powerful device. If you're thinking that the iPhone has an App Store, you're right of course, but remember the original iPod touch didn't for the first ten months it was on sale. The HomePod has more than enough power to warrant its own App Store. And, having one, would neatly put to rest many of the complaints about it. Let Apple make an App Store for the HomePod. It's got that 16GB storage on board, it could take a few apps. There is even a precedent for having an app store for a device that you can't readily browse for items on or realistically type into in the Apple Watch. While developers' initial burst of enthusiasm for Watch apps has rather faded, the apps that remain are excellent. There is also a precedent for smart speakers to have something like an app store, with the Amazon Echo able to add what are called skills. You do that via the accompanying iPhone app just as you install apps to the Apple Watch. Amazon's system can be a bit clunky. If you ask Alexa aloud how to add Apple Music, it will tell you that you simply have to ask -- but then when you do, it tells you to go use the iPhone app to set it up. Similarly, Apple Watch apps aren't as clear as they could be. You may know what Watch app you want, but it's the iPhone app you have to buy. There are iPhone apps which do nothing at all other than exist so that the Apple Watch version can be installed and used. Then you may have various Watch settings in that app, but you have to install it via Apple's separate Watch app. HomePod currently doesn't even have its own app, you have to control it via either the Home app or through Bluetooth settings. So you can well argue that adding apps to HomePod would be confusing if it were done like this. You can equally argue that the way it is right now, HomePod is deliciously simple. All you do is tell it what music you want to hear, and the next thing you know, it's playing that and it sounds fantastic. That's gold, and more than anything, it is what we use our HomePods for. Yet what else it already does, it also does well. So we've become used to taking and placing phone calls on our HomePod. And it's petty of us, but we do find it satisfying when a spam caller claiming to be from Microsoft which needs to fix our PC, gets to hear us say "Hey, Siri, hang up." Then of course we also use the HomePod to control HomeKit devices around our houses and offices. For some reason, while the music and the phone calls are reliable, HomePod sometimes struggles with HomeKit requests. And then it struggles a little more with Siri Shortcut requests too. That's really why we'd like to see a proper app store for HomePod. It would be great if finding and installing apps would be as easy as it is on iPhone and smoother than it is on Apple Watch. Yet once they're installed, apps could both bring new functions and make the existing ones more reliable. HomePod has better speakers than your radio and, via the internet, should be able to play any station, but it doesn't. Right now, for instance, you have to know what iPhone apps to use and just how to create the right Siri Shortcut when all you want is to hear the radio through your HomePod. How much better to have a TuneIn Pro or IHeartRadio app on HomePod. Perhaps dedicated apps would be better able to handle a back and forth conversation where you can practically discuss the weather forecast or narrow down restaurant choices with Siri. Certainly, an alarm app made by a third party could get HomePod to wake you up with your choice of music instead of the current unchangeable tone. And gaming developers are smart, there must be games they can make that work just with audio. It might be a waste of HomePod's audio quality to have it asking you quiz questions, but since Siri can understand what you say to it, this could actually be excellent. Maybe we could see the return of the classic Mac quiz app, "You Don't Know Jack". Maybe we could see revision apps for students. Or perhaps HomePod could have an equivalent of Day One and we'd all dictate our diaries into it like we're in Star Trek. If we just stop thinking of the HomePod as a music player and instead remember that it's the equivalent of a very heavy iPhone 6, this device could become extraordinarily capable. However, there are certain possible features that will never come from third-party app developers and instead will have to be done by Apple. Let us keep this brilliant-sounding music player, let us keep its simplicity and let us some day have HomePod apps. But we really need a way to let multiple people use the same HomePod to access their own messages, to make their own calls and to have their own Apple Music playlists. I demoed the HomePod in an Apple store and I was blown away by the sound. It's an awesome speaker but I decided to wait as I'm hoping for more compatibility and enhancements. We heard this for two years after the Apple Watch was released, that it was a failure, was going to be cancelled soon, wasn't sold in most countries around the world. Related to this, if as few as six million sold, which is on the low end of analysts estimates for its first year of availability, that, by itself is a $1.5 billion market plus. I like your piece. I was always expecting something to take advantage of the power the HomePod has inside. I think it will play well in the service focused Apple. I'm ready fo some new features and an App Store for it. They sound amazing and it can hear (actually heard me down the hall and in another room) way better than Alexa. Yes I have those too thanks to getting them free with almost every purchase I had at Best Buy and Amazon this Christmas. I have three HomePods and want one more for my office. Then I swear I'll be done collecting them. LOL! I agree with the article that the Apple Watch software installation process is so clunky that I barely ever try to use it. I agree with this article. That is why I am using an iPod Touch 1G (jailbroken) along with a dumb speaker to get my ‘smart’ speaker needs. Brilliant idea and very nicely articulated article. At the very least, some sort of GarageBand app for HomePod that allows you to capture and overlay sound and instrument snippets using just the HomePod would be cool. For example, you record a track using your guitar and the HomePod as the recording device, listen to it, then rewind the track to a time mark and overlay a second guitar or other instrument on top of the first, and so on. When you're done you can open everything in GarageBand on your iPad or Mac for further editing. Similarly, you could also use the HomePod for accompaniment for a live performance. Similarly, a Karaoke app that feeds the lyrics to an iPhone or iPad while the HomePod plays the music seems like a natural fit. When comparing Apple to Amazon you have to realize that Apple is faced with somewhat of a conundrum. Apple, like Amazon, has a huge and very loyal customer base. Apple would like to exploit the fact that it has a huge customer base to improve their bottom line, but do so without exploiting their customers, something Amazon has no problem at all doing to pad the bottom line. Apple's approach has always been to extend the value and reach of their ecosystem to other devices, like HomePod, Apple Watch, and Apple TV. However, other than shared content there's not much happening to improve the intelligence and strengthen the relationships between devices. Getting more intelligent and richer interactions between all of those devices that are hanging on separate branches in the ecosystem requires more insight and contextualization about you the customer. The more info Apple gathers about you, the closer they get to opening the Pandora's box of privacy. I have no doubt that Apple can safeguard all of the data and information they gather about you and your interactions and relationships with your devices in a secure way. However, keeping it safe from prying and subpoena wielding eyes is a whole different story. Please define how the rumored car project is a failure? No one knows anything about it, and it sure as hell isn't a product, so as someone on the outside with no knowledge of the project, its goals, or success metrics, you can't declare it a failure. As for not caring about customers, I think you're crazy, personally. I have a healthy mix of aging devices and new toys, and love them. Apple continues to not only do very well financially (meaning, people want to give them their money), they also have very high consumer satisfaction ratings. So I really have no idea what you're on about. I've seen your posts on Apple sites, you wouldn't have bought one anyway. I bought one, A:B tested it with a Sonos Beam, then returned the Beam. The sound was better, even for movie dialog where the Beam supposedly was better. Then I bought a second one because it has a classy, non-techie look and blended into our living room...they are always paired to the Apple TV, except for when I asked it to play my local radio station's stream (which it seems able to pull from the iTunes radio directory). My only beef is there is a pairing bug -- if the HPs are paired to the ATV, it can't respond to the voice inquiry to play my radio station, until after I un-pair it from the ATV by manually setting it as the audio target on another iOS device. Annoying. I have submitted it to their Feedback page so hopefully they'll fix it sometime. Sound is amazing. Also great for HomeKit commands. Yes, the HomePod at least needs a feature akin to Echo skills. Locking out third parties is a shame and a hindrance. Does Apple hurt itself more than help by requiring an iPhone for the HomePod? Perhaps HomePod could be offered with a useful, basic feature set available to all smartphone users, and more advanced capabilities available only to iPhone owners. Apple's approach turns a lot of people "off" to their products... it's not just the fear of lock-in, but the entry cost is too great. Are you sure HomePod requires an iPhone? Think about the quality of the fart apps that the HomePod could support! 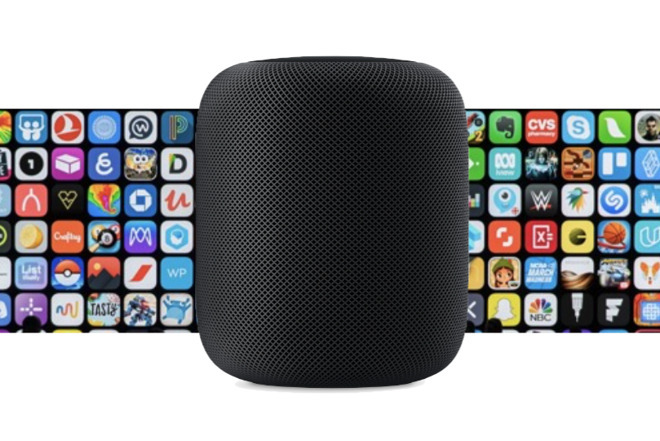 But in all seriousness, I guarantee that a HomePod app store would spawn some amazing apps. The limitation of not having a screen would be a creative spark for some developers to do things we can't predict. Does Apple read Apple insider? You make some good points. It often feels like they are “asleep at the wheel” when things that seem so basic are missing for so long. - A visual interface for HomePod via the Apple TV (and/or iPhone or any AirPlay 2 enabled SmartTV), not just for controlling HomePod settings but for displaying HomePod generated information such as song details, Siri answers, HomeKit actions, etc. 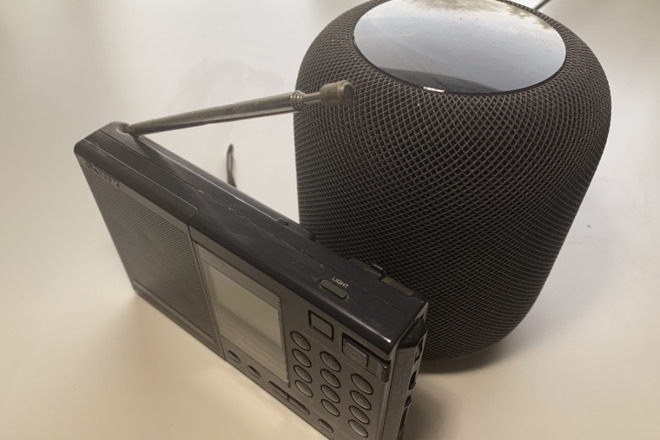 - A small accessory HomeKit device - or better yet, an upgraded Apple TV - that turns the HomePod (and/or AppleTV) into a wireless receiver so it can play content from my phonograph, tape player, CD and DVD players via Bluetooth/WiFi and adds a camera for FaceTime calls.